Supreme Court says1892 & 1924 pacts on Cauvery neither inoperative nor extinct - Integration Through Media ....! NEW DELHI: The Supreme Court has held that two pre-independence agreements of 1892 and 1924 between the erstwhile princely state Mysore — now a part of Karnataka — and the Madras Presidency on the allocation of Cauvery river water covers the areas of larger public interest and hence, they are “neither inoperative nor completely extinct”. The apex court, by its crucial verdict to resolve the decades-old dispute between the southern riparian states over Cauvery water-sharing, has enhanced Karnataka's share by 14.75 tmcft and reduced Tamil Nadu's quantum. The verdict was delivered on Friday. “The two agreements of 1892 and 1924 had neither any political arrangement nor touched any facet of sovereignty of India. 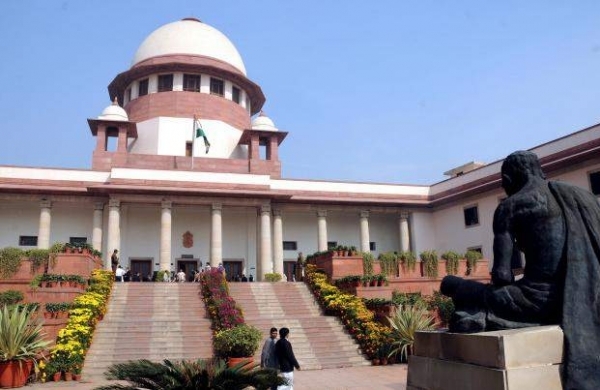 Per contra, the agreements cover the areas of larger public interest which do not have any political element and in this backdrop, the agreements are neither inoperative nor completely extinct,” a bench comprising Chief Justice Dipak Misra and justices Amitava Roy and A M Khanwilkar said. Karnataka had attacked the two agreements of 1892 and 1924 on two counts, firstly by saying that the Maharaja of Mysore was not in a position to enter into an agreement on equal terms with the Madras government. Secondly, the state had reasoned that the manner in which the two agreements were reached, the status was conferred by the British government and the maharaja, the orders passed by the British government from time to time clearly showed the subservience of the Maharaja of Mysore to the paramount power of the British Crown. Rejecting the contention, the bench said after the Constitution came into force, the exercise of power by the State over its citizens stood circumscribed by it. “In the said case, the doctrine of paramountcy has no play. The two agreements, on a studied scrutiny, do not indicate any aspect that can be called political or touching any facet of the sovereignty of India,” it said. Elaborating further, the bench said the agreements covered the areas of larger public interest like construction of dams and irrigation of land existing within the two states — the State of Mysore and the State of Madras — and had nothing to do with any political arrangement. It rejected Karnataka's contention that after independence, the two agreements of 1892 and 1924 became inoperative and extinct. “After the 1947 Act (Indian Independence Act, 1947) came into force, the doctrine of paramountcy had no room for application as the Government of India became the full sovereign authority,” it said. Karnataka had contended that both the 1892 and 1924 agreements were hit by the “doctrine of unconscionability” as the Princely State of Mysore and the State of Madras were on two different platforms. “The State of Mysore was a vassal state and had really no authority to speak on various aspects of the agreement,” it had argued. The court rejected the argument of “doctrine of unconscionability” raised by Karnataka and said, “The bargaining power may not have existed in 1892 or 1924 but definitely, the said power to bargain or to choose came alive after the 1947 Act and, undoubtedly, after the Constitution came into being. ” “However, the state of Karnataka chose not to do so. If we allow ourselves to say so, it chose not to rise like a phoenix, but on the contrary, it maintained a sphinx-like silence at the relevant time. Therefore, we are not persuaded to accept the submission that the agreements should be declared as void because of unconscionability,” the apex court held.